OECD Environmental Performance Reviews provide independent assessments of countries’ progress towards their environmental policy objectives. Reviews promote peer learning, enhance government accountability, and provide targeted recommendations aimed at improving countries’ environmental performance, individually and collectively. They are supported by a broad range of economic and environmental data and evidence-based analysis. Each cycle of Environmental Performance Reviews covers all OECD member countries and selected partner countries. 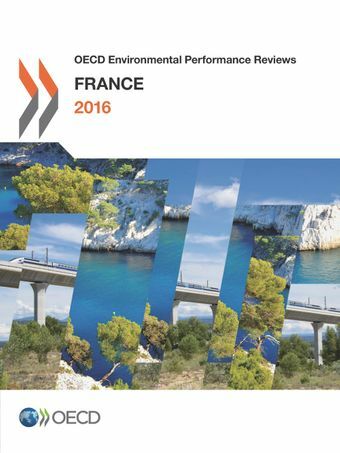 The most recent reviews include: Spain (2015), Brazil (2015) and Chile (2016).This report is the third Environmental Performance Review of France. It evaluates progress towards sustainable development and green growth, with a focus on energy transition and biodiversity. France has improved its environmental performance over the last decade, lowering greenhouse gas emissions, reducing some air pollutants and cutting its use of fresh water. Further effort will be needed, however, to reduce pollution by nitrates and pesticides and meet ambitious renewable energy targets, according to a new OECD report. Better Life Index: How is life in France?